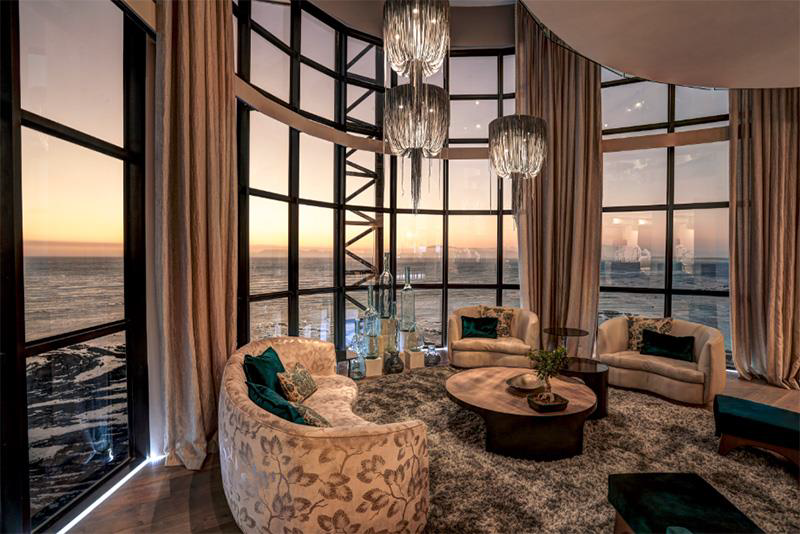 Aimed at the luxury of personalised control, access to the Ocean View Penthouse is afforded via an in-apartment lift, which grants access strictly to residents. Step into a world of space and light as the double-volume foyer envelopes you, and feel the extent of modern grandeur as the Penthouse’s sweeping staircase extends down to meet you upon your entrance. Lit with ceiling-high access to the Cape sun are the kitchen and independent scullery, whose natural yet tempered light is supplemented with innovative glass floor-panels that draw light from the upper level. Let the warm colours of the beautiful evenings usher in a rest that only luxury can guarantee, made all the more pleasurable by the three lavish bedrooms boasted by the lower floor of the Ocean View Penthouse. 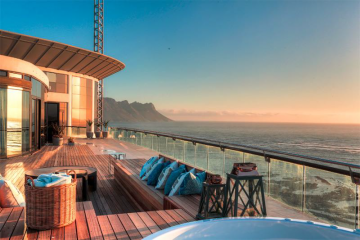 All featuring en-suite amenities, two of the bedrooms feature magnificent views afforded by their glazed facades, allowing guests and residents alike to enjoy the scenic beauty of the ocean, sky, and earth – in the form of Table Mountain and the Stellenbosch Mountains – all in a breathtaking moment’s gaze.